You and your family depend on your home for comfort and security, and your heating system is a huge part of both of those, especially when winter temperatures reach their lowest. Winter in Wichita and the surrounding areas can be brutal, and keeping your home warm and comfortable while not overspending on energy costs can be difficult. Plus, any malfunctions with your heating system can be serious health and safety concerns. The best way to ensure that your heating system is always up to the task of providing you with the warmth that you need for your home is to have regular tune-ups performed. Our professionals recommend that you have heating tune-ups performed at least once each year, preferably in the Fall, just before the heating season is in full swing. We offer heating tune-ups as part of our Security Plans and our Comfort Agreements, or we can provide them as stand-alone services. No matter what kind of unit you use to heat your home, it's very important that problems of any size are taken care of as quickly as possible. Letting problems with your heating unit go untreated for any amount of time will only lead to more damage, which can be detrimental to your heating system. Regular tune-ups of your heating system will help you prevent your heater from needing extensive repairs, and they'll keep your heater as efficient as possible at all times. You'll be able to keep your home warmer and more comfortable while you're keeping your bills as low as possible. Annual heating tune-ups are one of the most beneficial services you can have performed on your Wichita home, and our professional heating technicians can guarantee your complete satisfaction with all of the work that we provide. 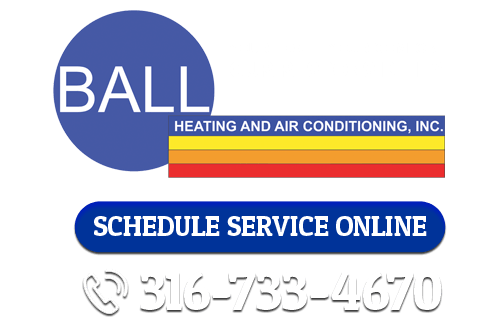 If you're looking for heating tune-ups in Wichita, call Ball Heating & Air Conditioning at 316-733-4670, or fill out our online request form.